I'm starting to delve deeper and explore the Vancouver music scene (both new and established acts). If you have any suggestions regarding bands or musicians feel free to add a comment below or drop me a line. 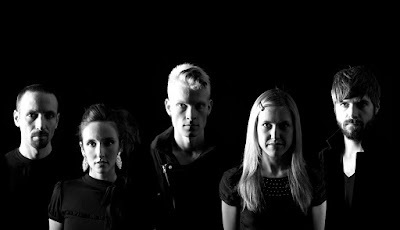 One of the bands that's been brought to my attention is Mother Mother. The 5 piece band (originally a trio) started in 2005 and have released 2 albums to date: 2007's 'Touch Up' and 2008's 'O My Heart'. Producing music that's a mishmash of pop/rock, they have established a wide fan base across Canada and the US aided by regular touring. 'O My Heart' has been on constant replay over the past few days due to infectious melodies and deft harmonization. They're currently on tour and you can check out upcoming show dates on their site below.